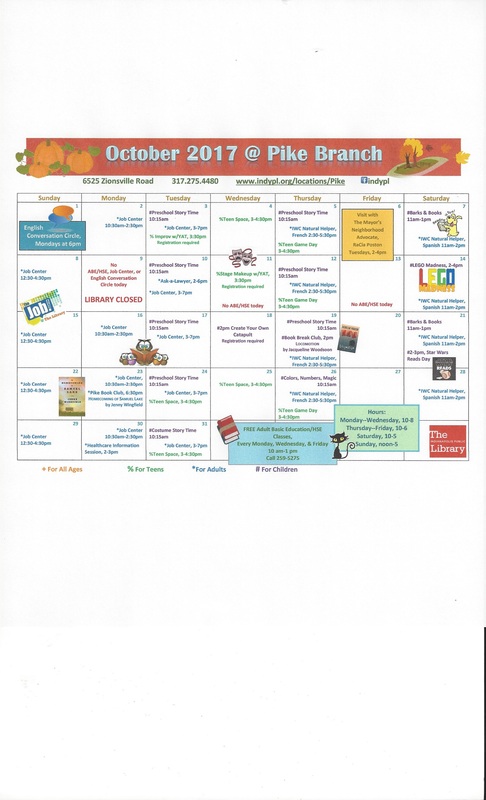 Attached are the calendars for the three libraries closest to us. 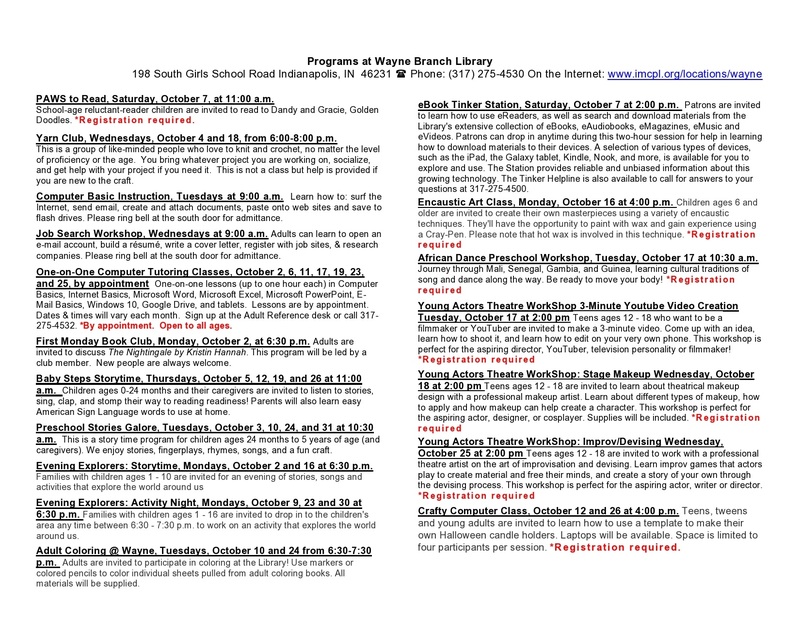 Attached are the calendars for the three libraries closest to us. 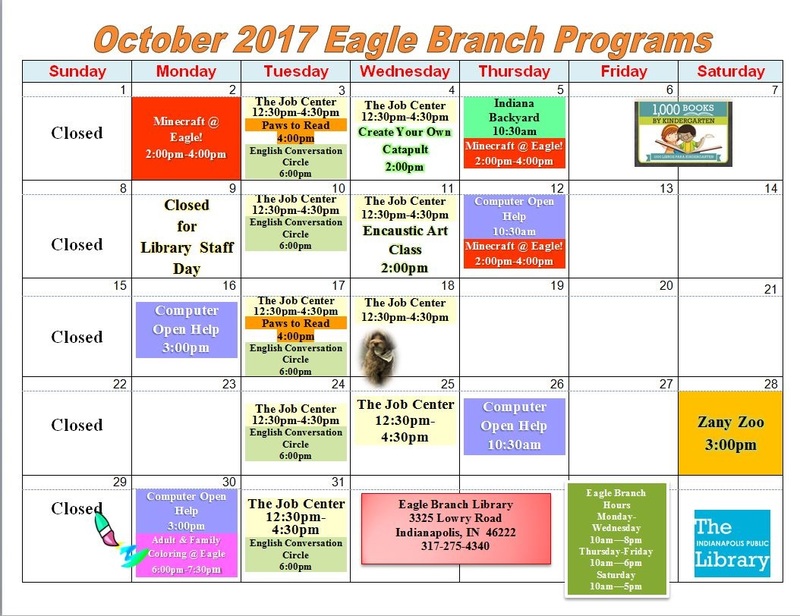 They all have a lot of programs with varied interest for children, youth, teens, adults, and families. Many of the programs have descriptions about them as well. Take a look and see if there isn’t something that would interest you or members of your family. Also attached is information about “English Conversation Circles”. These have been going on for a while, but they will continue through October 31st. 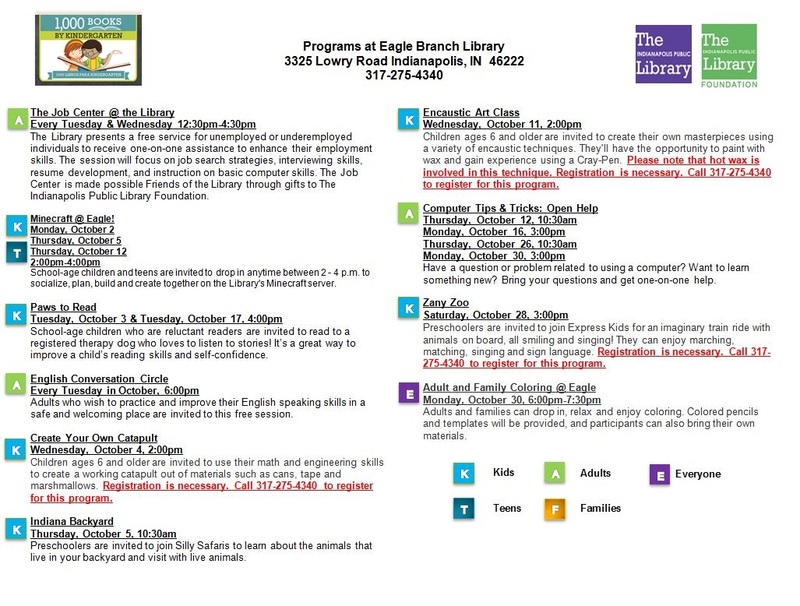 They are held at the Pike branch on Mondays and the Eagle Branch on Tuesdays starting at 6 p.m. If you know of anyone who would enjoy practicing their conversation in English, this is a terrific way to do that. See the flyer for more information and also for the days and some of the other locations. 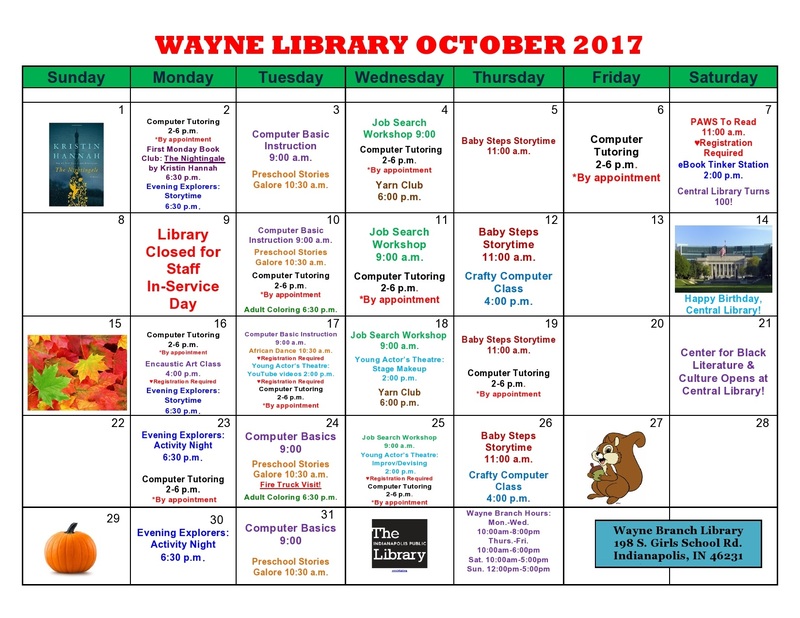 Please note that all Libraries will be closed on Monday, October 9th, for a Staff In-Service Day.